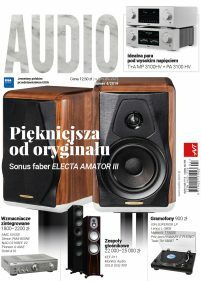 Audio magazine was founded in 1995, at a time when there was no other specialist audio monthly magazine in Poland. As a result, Audio soon became a market leader. Its audio tests are based on technical knowledge, listening reports and laboratory measurements. The high standard of its testing is well recognised by its readers and the industry. During the last 12 years, Audio has evolved as the market has changed. However, its core aims and values have remained unchanged. It now tests many different AV products. In every issue readers will find comparative group tests, individual tests of special products and short tests on new ones. There are also many news pages, photo reports from audio events, interviews, plus more than 50 music reviews a month. The magazine’s web site has a huge archive of thousands of tests and is dynamic source of the hottest news.